The wild flowers that we put in earlier in the summer never really took off. Some did, but it wasn’t the “holy cow calling all bees” I had expected. Today I re thought that bed. The new plan is to fill it in and stock it full of all things medicinal, and perennial. 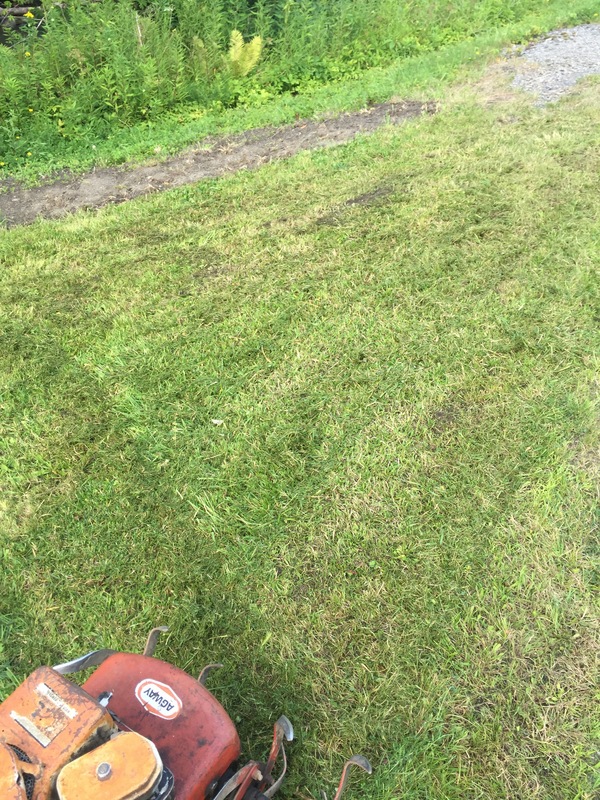 The first stop was to chop down all the growth, as close as the mower could. 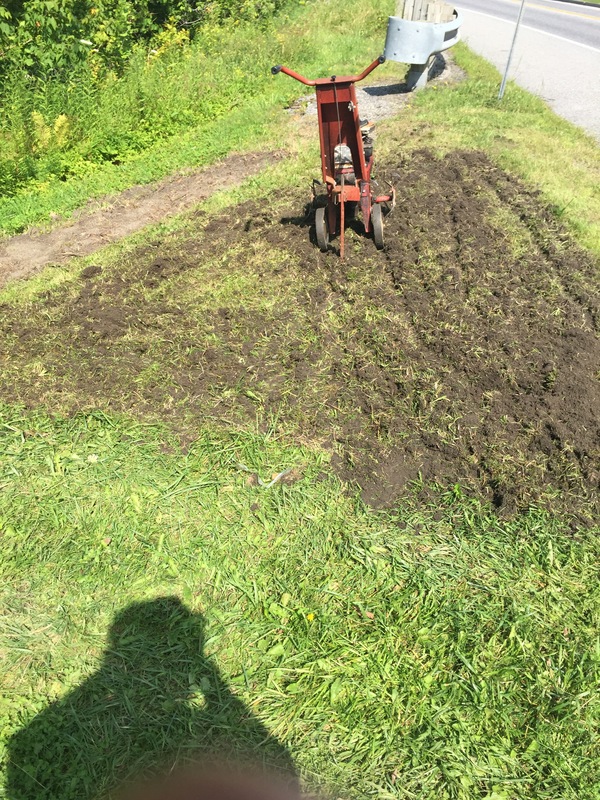 This disadvantages the sod as much as possible, and acts a bit like a highlight when tilling. Next I ran through and busted up all the sod. Then I settled in and dug it deep. About a foot. 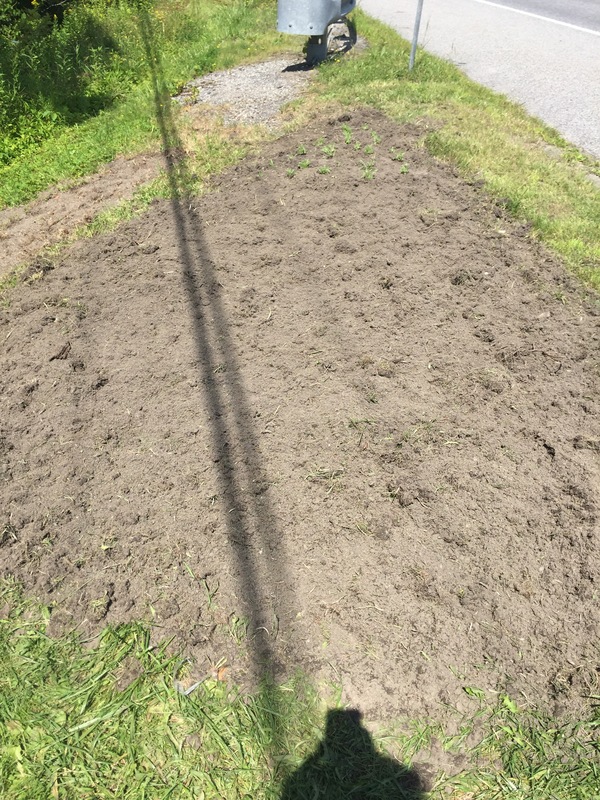 Once it was dug, in went 24 yarrow to start out. In he next couple of weeks purple cone flower will be joining it. Any space left over will get buckwheat until spring. That’s all there is to it. I must admit the rototiller is kind of growing on me. Had I dug this by hand it would have taken most of the day. I will keep researching because I know there is a method to rototilling that alleviates some of the pitfalls. Love this idea! I might have to build a new bed next year for medicinal herbs (mainly calendula, my fav!) and learn more about homemade remedies. Inspiration all around!